Folks, can I call upon a bit of sage wisdom? I bought £68 of stuff from www.dynamoregulatorconversions.com and it never came - I rang up and they hadn't put tracking or insurance on it - but said they’d send it again. I can’t doubt he’s sending it - after the good comments on another forum. 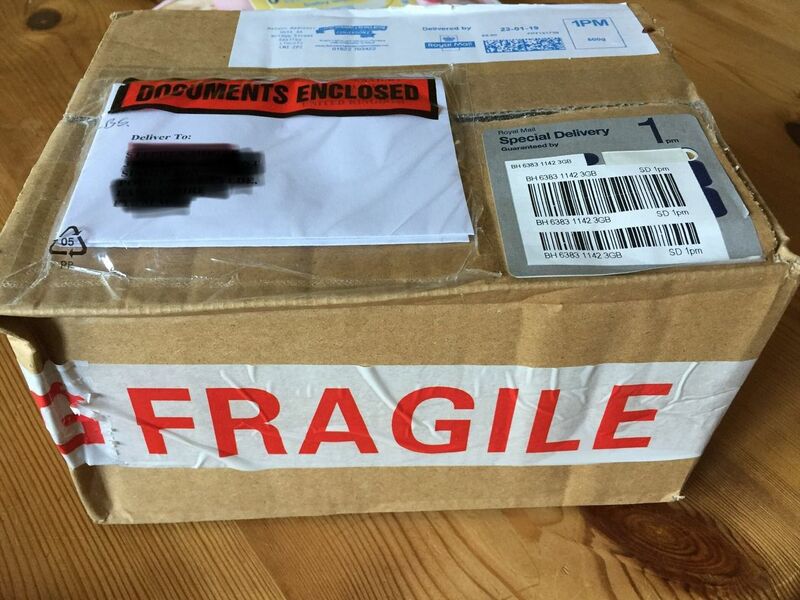 My post is arriving as normal - Just today two Jiffy bags have arrived - one has quite expensive parts in it from Dunsfold - and it’s arrived safely. Even if he’d missed the last post on Wednesday it should have arrived on Friday - and now it’s not here on Saturday. My confidence is low. I don’t know what to do now- it seems it’s lost or stolen in the post again and we are in the position where he has lost cost price plus post twice - and I have still paid purchase price plus post and still haven’t received what I paid for. Frustratingly my 80 is almost finished and now that package from Dunsfold is here - about the only thing I need to buy are these bits. I think the Legislation says he’s responsible until I’ve received it - and I paid with PayPal, so could put in a claim in - but I’m still not ending up with the parts and he’s the only one who makes them. The chances of it getting lost twice are slim. If they are unwilling to send it tracked then they should be willing to accept the consequences. I would inform them it hasn't arrived, clarify that they have sent it and to what address, give it one week to see what happens. If it still hasn't arrived complain again. And ask them not to use parcelforce, would be my advice. Ask for proof of posting (this is free to get) so you can get royal mail to investigate the losses and if they did not ask for it, then they have no proof that it was sent. If they have proof and royal mail cannot find it then you probably won't be able to claim on paypal but could get £20 from Royal mail. If you paid by PayPal and he hasn't used tracking then he hasn't got seller protection, so you're in a strong position to get a refund if you need it. Thanks for the advice guys - I had started to doubt wether I was being reasonable. Thanks again folks - still not here in this mornings post, which is a month now. I’ve laid it all out, civilly, through the PayPal dispute process. So disappointing as he’s the only one who makes these things and I really wanted to use them! So may be appeal to a forum member who lives near Lincoln to go a pick one up personally or it seems that he visits events around the country and again get some forum member to get you one and then post it on to you (with tracking). TBH if someone's selling stuff online and doesn't have the common sense to send it recorded / signed-for they're asking for trouble. Hardly adds anything to the cost either. Kudos to the chaps patience and good manners - he is sending me a 3rd set tracked and signed for. The 80” has Lucas ST51 ‘D’ light - and he does rather neat LED board with mounts and the full set of tail lights in there. Thanks for the support everyone. I was losing perspective - but all is well in the end. If anyone needs any other custom boards/electronics my best mate/brother in law is a dab hand with electronics and builds custom stuff. No wonder they can't find you, someone's crossed the address out!